We seem to have been planning and waiting for our VSO trip forever. We first started thinking about it many years ago but, in reality, the business started round about this time last year when there was "trouble at mill". (My friends will know what I mean by that). Since then we have been selected, done some of the training, had injections for nearly everything including Rabies and Yellow Fever and booked all of our courses. 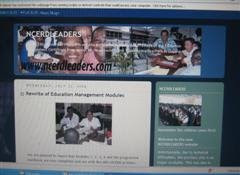 The next one is in middle November when we will hopefully learn some of the skills for working in developing countries. It's been very slow over in Guyana. They say it was mainly due to the elections but they took place some months ago. 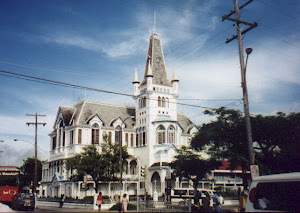 We have now been told that Mary and I are the only volunteers in Linden, Guyana as it is a new venture but there are others in other regions and, of course, in the capital city, Georgetown. It's only a small country - about the population of Croydon but the size of Britain so, hopefully, we won't be too lonely. Then again, we have each other. 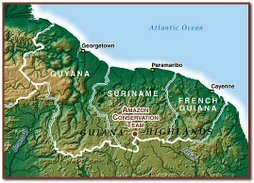 I had a look at Guyana from the sky on Google Earth. Georgetown was very clear. It seems very compact, has lots of water all round it from the sea, estuaries and rivers and everything is in straight lines. The east of the river seems to be heavily populated and the west almost like Britain many years ago with thousands of small strips of land. Lots of cultivation in the space available to them. 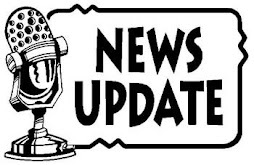 We have been told that we are still "on" for February but we haven't been given a date yet. I'll let you know when I hear anything else. 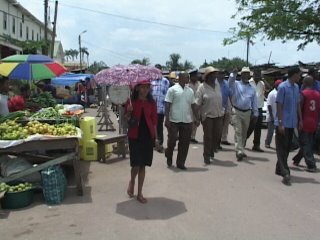 The Prime Minister of Guyana visits Linden and it's market!